Save money with target workers compensation programs for New Mexico employers. In New Mexico, rates on workers' compensation insurance coverage are slightly higher than the national average. Because of this it is crucially important for employers to ensure they are taking advantage of all the cost saving programss available to their business. At Workers Compensation Shop.com our agents specialize in Workers Comp Coverage and they work with more then a dozen providers to find your business comprehensive coverage at rock bottom prices. We have partnered with many of our carrier partners to find flexible spending options to help our clients pay their premium the way they want to. One such program is Pay as You Go Workers Comp Coverage. This option requires les up front cost because it lets you pay your premiums monthly based on the payroll each month. This option is good for businesses who have a hard time estimating payroll throughout the entire year. It also frees up cash-flow for more immediate business needs. Don't pay too much for your coverage. Call today to get a no obligation quote from one of our work comp experts at 888-611-7467. In New Mexico, companies with 3 or more full or part-time employees are required by law to purchase workers compensation insurance. How is the NM Workers Comp Market? Rates on Workers' Compensation Insurance in New Mexico are slightly higher than the national average and they are on the rise. 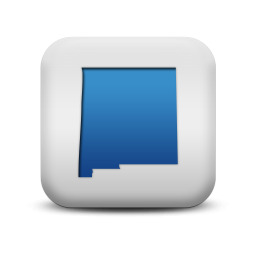 New Mexico does have a state fund administered by New Mexico Mutual Insurance and it partners with the National Council on Compensation Insurance to be the assigned risk provider. Typically states who have a strong state fund enjoy lower rates, but because of a lack of competition amongst carriers rates in New Mexico continue to rise. At Workers Compensation Shop.com, we help employers find the best deal on workers comp coverage. Give us 3 minutes and we'll tell you if we can help your business find more affordable coverage. If we can't help, we will give you our best advice on where to go next. Give one of our workers compensation Specialists a call today at 888-611-7467 to learn about or workers compensation insurance programs in New Mexico.